Now this is other thing. Completely. While the two previous records were average to good ones, mainly due to the changes the band was going through at the moment, this album is now a clear declaration of intentions. 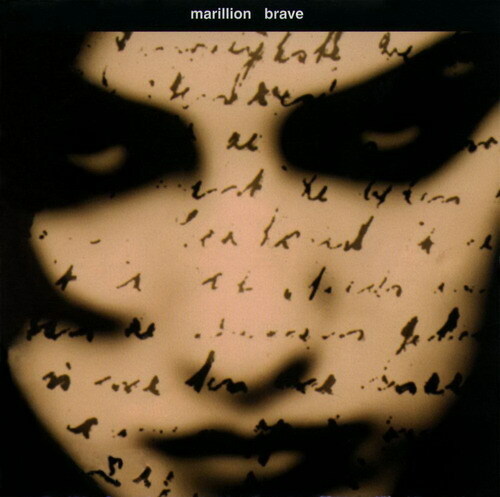 While many fans would have thought that Marillion would end up being a pop product like Genesis almost ended up being, given the direction their albums were going to, "Brave" comes as a big surprise and a "brave" move as well. "Brave" is as dark-edged, sombre and conceptual as their predecessors were friendly and more conventional. In it you can find structures more suitable for a progressive rock compositions, with long compositions like "Goodbye to all that", with a tremendous and wonderful synthesizer and guitar interleaved intro. We also find concise, very conceptual and very well structured songs like "Living the big lie", "Paper lies" or "The Great Escape", very good rockers like "Hard as love", and we can listen to more romantic and melodramatic songs like "The lap of luxury" or "Brave". Summing up, this album is Marillion's dark opera, exploring a conceptual issue in an elegant, dark and well performed way, providing a sample of the band's potential, specially Steve Rothery again, and a resurrected Mark Kelly, whose role had decreased in importance since Fish departed. For me, this record is one of the top moments in Marillion career, certainly the best one released in the Hogarth's era and one of the few comparable to Fish's Marillion records. Almost compulsory to any progressive rock listener.